How Far is Sindhu Haritha Krishna Kunj? 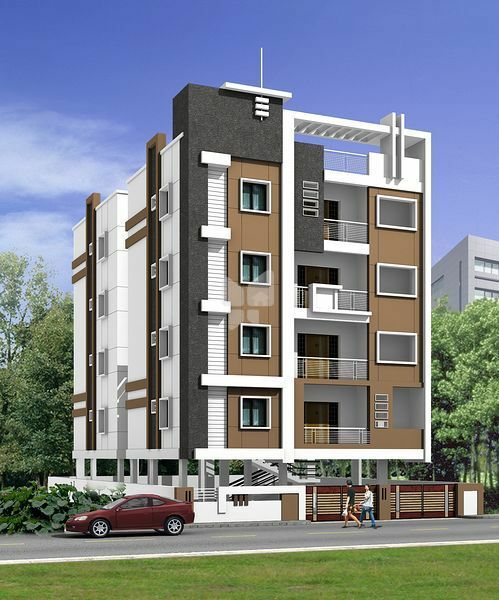 SIPLs Haritha Krishna Kunj is one of the popular residential projects that is located in Hyderabad developed by Sindhu Infratech, this project offers thoughtfully constructed 3BHK apartments with modern amenities for the comfort of residents. Adding to this, it is situated close to the market, hospital and many educational institutions. Doors :Main door medium teak wood frame with teak veneer shutters, Internal doors with country teak wood frame flush shutters with all necessary fittings. Parking:Parking tiles / concrete flooring. Lift :One 4 passenger lift. Painting :Internal All Rooms Luppum finish with Two coats of Tractor emulsion paint. External :One coat primer and Two coats of ACE paint. Kitchen :Platform with polished granite slab, sink, 2' height dado with ceramic tiles. Sanitary :PVC pipe for sanitary lines, UPVC pipes for water supply lines. Water supply :One sump for municipal water, One over head tank with separate partitions for Municipal water and bore water, bore water connections to all toilets and kitchen, municipal water connection to kitchen only. Electrical :Concealed copper wiring with adequate light points and fan points, telephone points in Hall and Master bed room, TV point in hall and master bed room. Toilets :Toilets with one European WC and one Indian WC, wash basin, shower, hot and cold water mixer, one geyser point in one toilet. Ceramic tile flooring with door height dado. NOTE :Extra charges for car parking space, lofts, wardrobes, extra electrical points, all expenses towards transformer, panel board, water, Govt. Fees, taxes, drainage connection etc.,. NOTE :This brochure is only conceptual presentation of the project and not a legal offering.